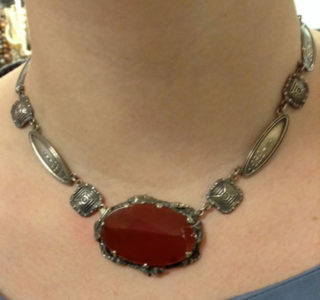 Specializing in designer contemporary, vintage, antique and estate jewelry. DIVA will be open ALL SUNDAYS in December! HUGE SALE to Celebrate American Craft Week – 10/5 – 10/14! 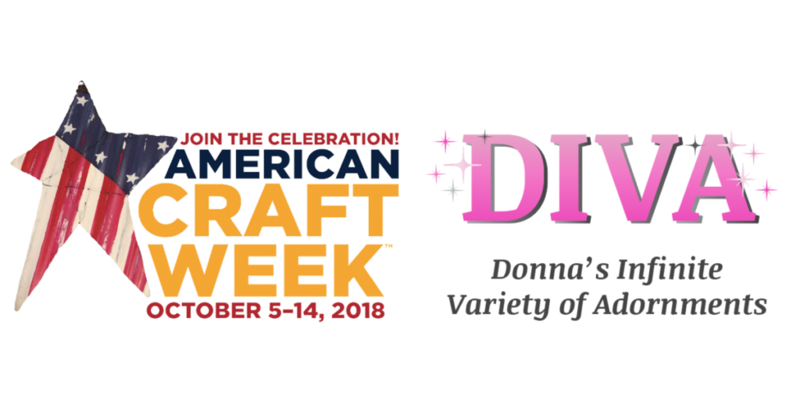 To celebrate American Craft Week and Gloucester’s placement in the TOP TEN OF ALL AMERICAN CITIES AND TOWNS with the BEST American Crafters and Artists, DIVA is having a sale on all American Artists pieces made in the USA, and from all time periods! 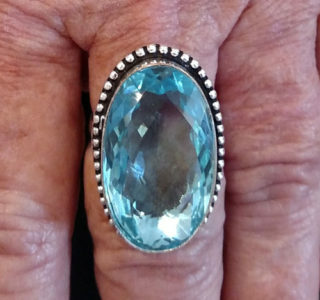 Introducing our New Featured Posts – Birthstone of the Month! 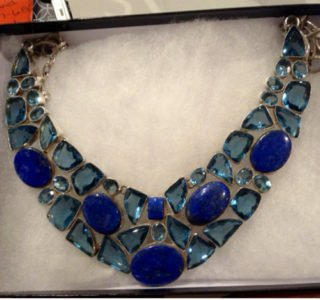 These posts will provide information about birth month gemstones and feature select jewelry pictures of each stone. This month, October, is represented by Opal. More than 90% of opals come from Australia. The rest come from the US, Mexico, Ethiopia, Czech Republic, Indonesia and Brazil. They come in all different shades, translucencies and colors! 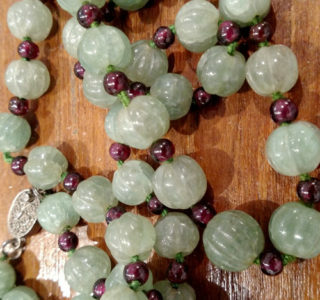 While all gemstones are thought by many to have various properties, both good and bad, opals are rumored to be bad, unless it’s your birthstone. 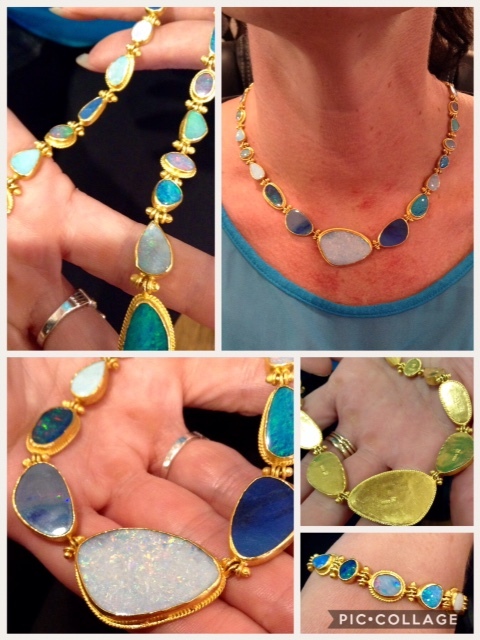 Opals have been referred to as “the stone of tears.” However, in the Middle East, opals are thought to be lucky! 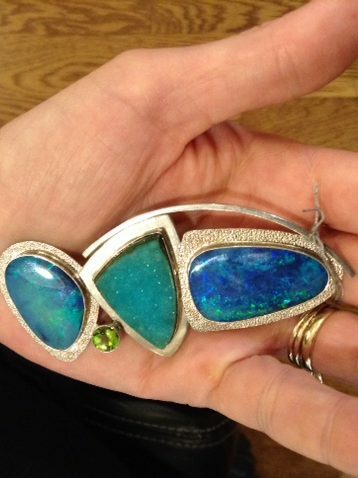 Among various superstitions (i.e., that opals keep blondes blonde, many of these superstitions were promulgated by competitors to interfere with the Australian opal market! 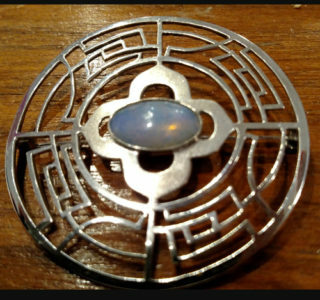 Despite not having an October birthday, I love and wear opals and can only encourage those missing out to enjoy their fire and beauty! 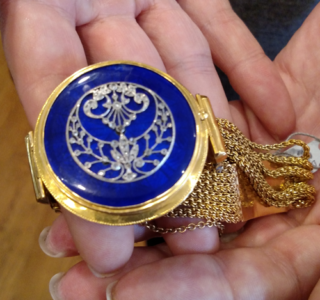 This jewelry, currently for sale at DIVA, represents different countries, time periods and metals. 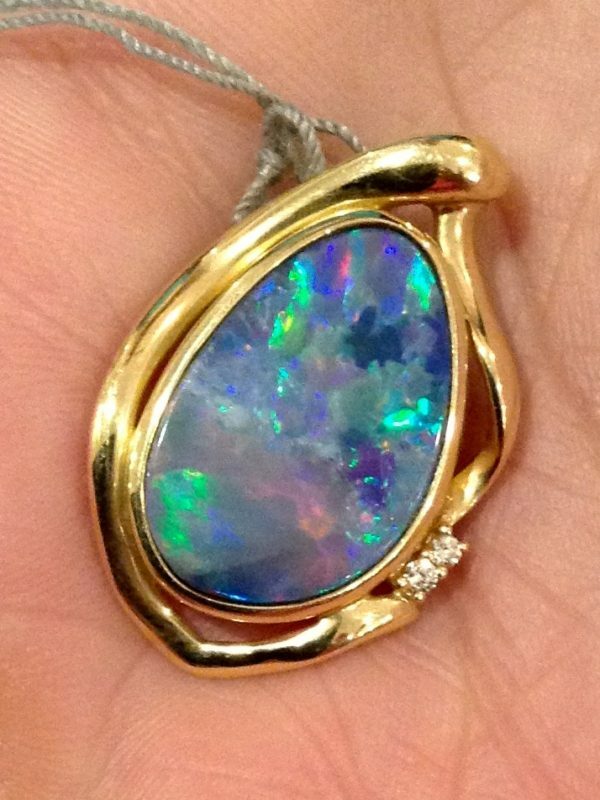 Vintage 14k Australian opal pendant. 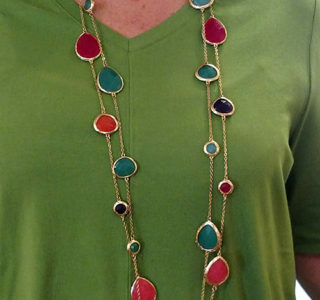 24k and Australian opal necklace and bracelet. 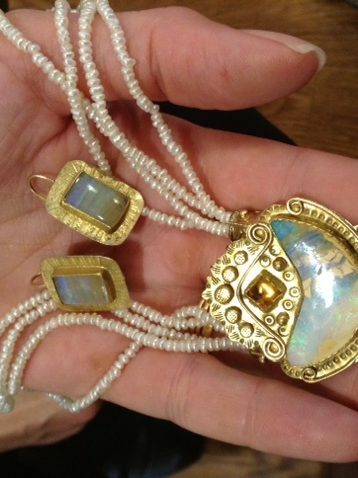 Opals hand-selected. 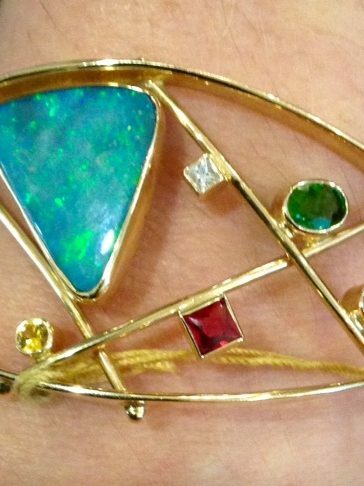 Contemporary 14k bracelet with Australian opal and gemstones. Sterling pendant with opals and aqua druzy. 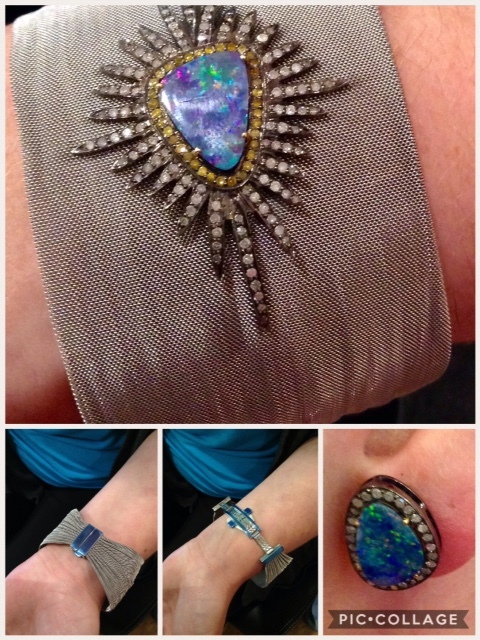 Handmade sterling mesh bracelet with Indonesian opal, rose-cut diamonds with matching earrings. 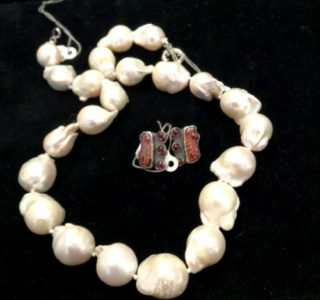 Vintage 14k, antique seed pearl and milk opal necklace and earrings by Tzipora Hoynik. Welcome back to Gloucester, DIVA! DIVA has re-opened as of May 1st! 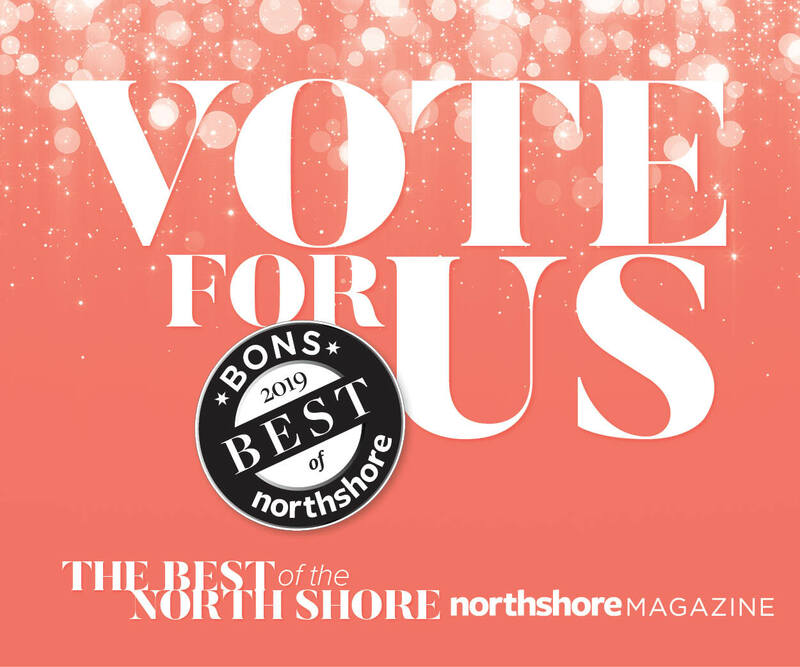 Hours are Tuesday – Saturdays 10:30am to 5pm. NOTE: DIVA will be closed on Sundays and Mondays until December 3rd and will then be open all Sundays (not Mondays) throughout December. 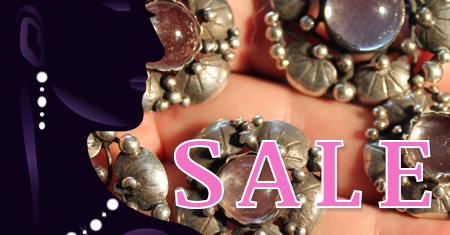 I am delighted to have this yearly sale before the holidays and everything will be on sale from 12-20% OFF!!! Hope to see you here and have a great holiday season! 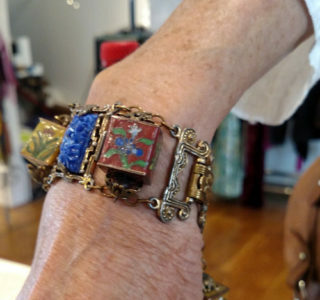 When Donna Soodalter-Toman was a little girl, she liked watching her mother adorn her outfits with jewelry. 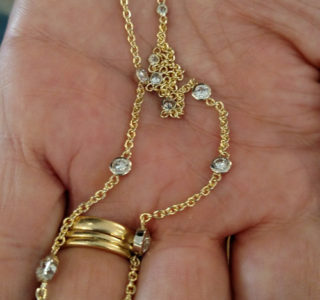 She saw her mother’s look change with each piece she put on. 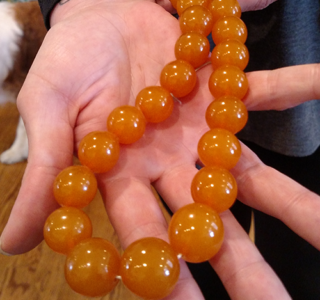 “I saw that jewelry could create a kind of magic, and I fell under its spell.” That’s what inspired Donna to start making her own jewelry in the 1960s. Ultimately, she turned her love for adornments into a career. 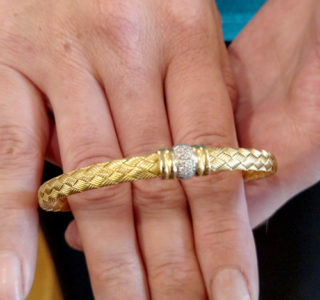 She began participating in jewelry shows, then opened her own shop 12 years ago. In 2016 she moved to Gloucester and opened her latest shop, DIVA. “Gloucester has the oldest art colony in the entire United States. It’s the oldest fishing village. There are sail makers here, furniture makers, sculpture. So it’s just a wonderful place to be in terms of arts and crafts,” she says. 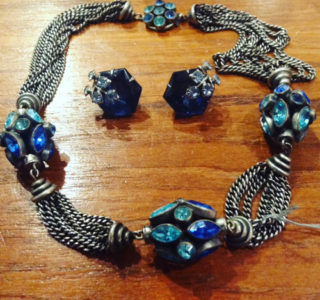 DIVA, or Donna’s Infinite Variety of Adornments, features pieces made by Donna and other artisans specially chosen by her. 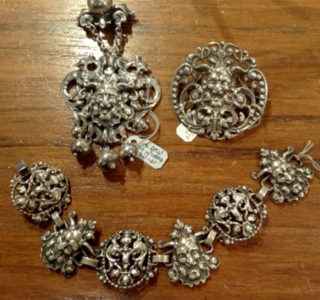 DIVA also offers vintage and antique jewelry going back to the 1700s. “When people come to my shop, not only will they get personalized attention—they’ll get the history,” she says. 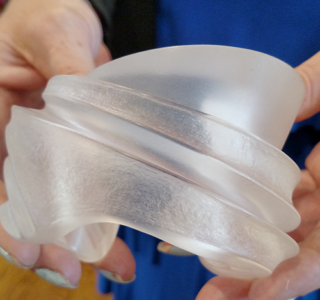 Donna loves to give the background for each piece to help her customers understand what makes it special. She wants them to take pleasure in wearing everything she makes or sells. 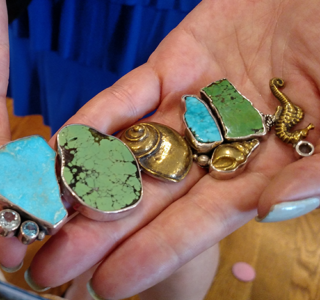 “Jewelry should make someone feel better by wearing it.” We couldn’t agree more. DIVA is located at 161 Main Street, Gloucester, Massachusetts. Marketing associate at Spatially. Lover of cats, arts and design. In celebration of Gloucester’s prestigious award (voted in top 10 of all US cities and towns with the best American artists and crafters by American Crafts), DIVA (Donna’s Infinite Variety of Adornments on 161 Main St.) will hold a special sale during American Craft Week (Oct. 6-Oct. 15) on all contemporary pieces made by American artists and in the US. The list of artists number more than 100 and is noted below. 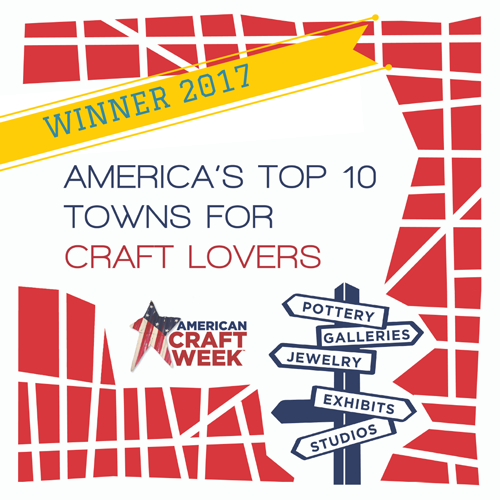 Go to www.AmericanCraftWeek.com for information on American Crafts. NOTE: HOLD THE DATES! 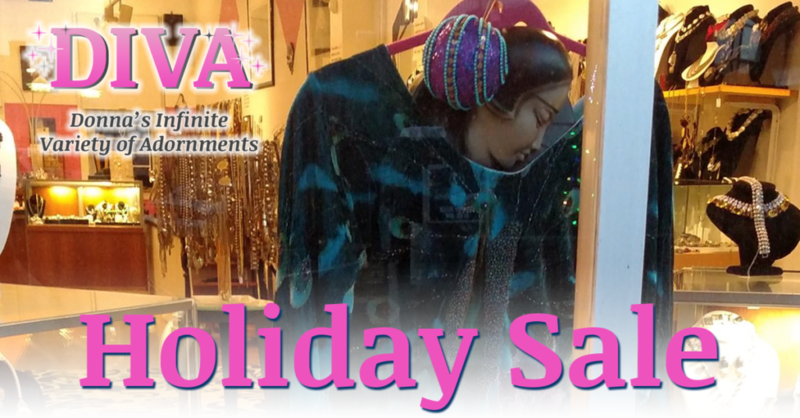 DIVA’S STOREWIDE HOLIDAY SALE! NOVEMBER 11-NOVEMBER 26, 2017!!!!!!!! Keith Lewis, Ester Lewitts, DVA, Heidi Daus, Keistlestein-Cord, Alexis Bittar, Ricki Frank, Amy Faust, Joyce Fitz (Yipes! ), Dawn Estrin (Bijoux Graphique), Erin Blake, Linda Kindler Priest, Laurie Leonard, Yana Matson, Blair Design, Starborn Creations, Deborah Armstrong, Tree of Life, Terika Blake, Jessica Weiss, Mooseup Designs, Doug and Nancy Hancock (Mummy’s Bundle), Artifacts’ Glass, Margarita, Robert Lee Morris, Elizabeth Garvin, Sydney Lynch, Zoe Chimera, Jaclyn Davidson, Valerie Hector, Natalie Taiz, Erica Zapp, Kate Hines, Linda Gazzzini, Rick Cameron, Donna Chambers, Christina Crawford, Christie Anderson, Kirsten Holeman, Amy Kahn Russell, Margaret Thurman (Echo of the Dreamer, Mars Valentine), Sarah Cavender, LuLu 2, Janice Girardi, Lori Bonn, Sally Craig, Beth Solomon, Skye, Stephen Dweck, Stephen Webster, Lisa Jenks, Victoria Varga, Eileen Sutton, Carol Webb, Fusager (Magick), Sondra Grondstra, Cassandra, Chellie Rawlins, Silver Song, Kim, Jeremy Gicker, Susan Brown, Great Falls Metal Works, Flying Anvil, Ron Duggan, Joseph Downs, Rebecca Collins, Ann Besse Shepard (Chrysalis), Far Fetched, Judith Jack, Mayia Neimenas, Timmy Woods, George Saywer, Tom Binnion, Chris Ploof, Todd Reed, Betsy Fuller, Patricia Locke, Sam Shaw, Terri Logan, Carolyn Morris-Bach, David and Roberta Williamson, John Iverson, Linda Hess, Joan Dulles, Kara Ross, Jim Dunakin, Michael Boyd, Ed Levin, Jan Di Cresenza, Woolsley, Versions, Simon Sebbag, Kabana, Vitresse Glass, MichaelThee, Kevin O’Brien, Carley Wright, Zina, Darla Nodstrom, Penny Preville, Gabriella Kiss, Native American artists, etc. 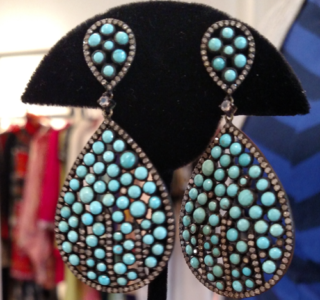 Announcing DIVA’s First Anniversary Sale in Gloucester! 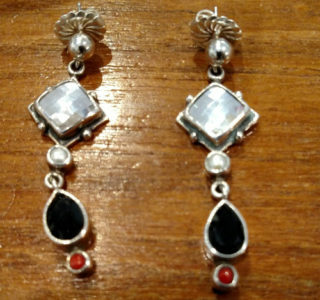 Echo of the Dreamer Sterling, Crystal, coral and onyx earrings. 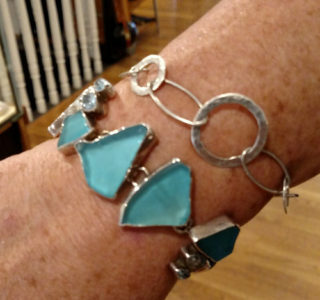 Margaret Thurman Sterling, blue seaglass and blue topaz bracelet. 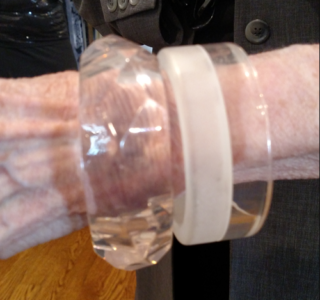 Vintage Bayanihan frosted acrylic bracelet. 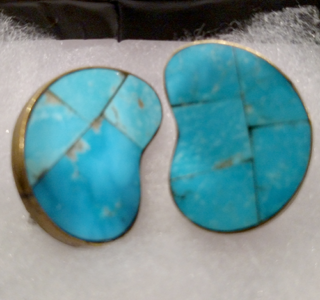 Vintage Celia Sebiri turquoise intarsia earrings. 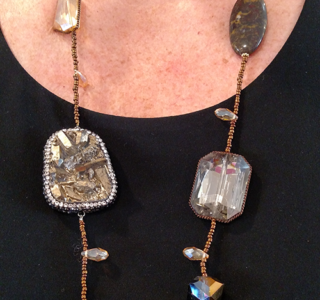 Crystal and drusy gem necklace. 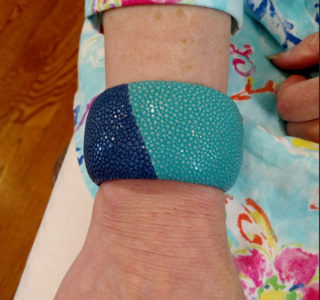 Margaret Thurman for Echo of the Dreamer blue and green turquoise, sterling and brass she'll bracelet. 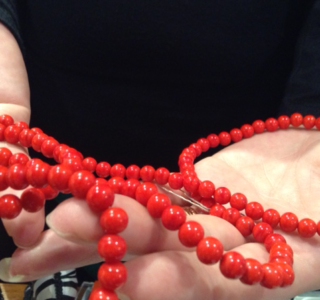 Red Czech glass necklace circa 1930s. 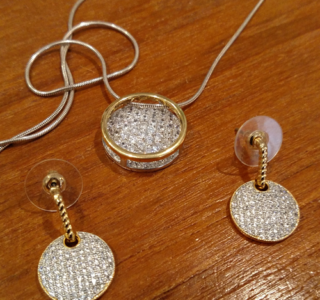 18K and cz earrings and pendant.